April 10, 2019: Some actors are larger than life, but not life-like. We admire their craft rather than identify with the characters they are portraying and the emotions they are conveying. These actors usually win major awards, but they rarely truly move audiences other than causing them to stand for ovations. 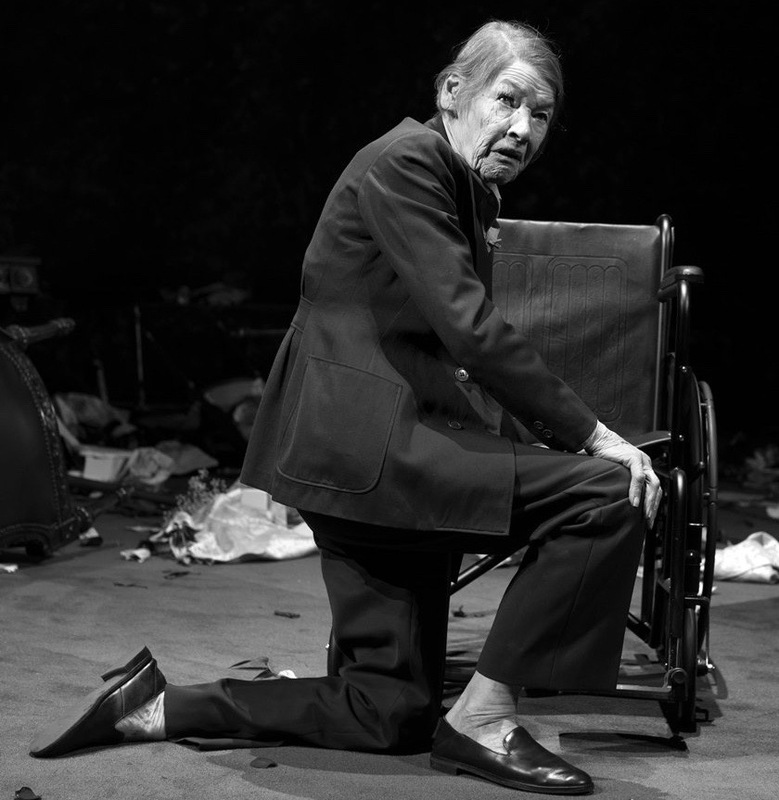 Glenda Jackson can be one of these stars at times. Perhaps that is why she left acting for politics, where there is less risk of really showing your inner self. Her brilliance has always been cold and her technique so practiced and steely, she holds us at an arm’s length. That can work when the character is a armor-plated matriarch like Elizabeth I or the lionness-mother A in Edward Albee’s Three Tall Women, in which she returned to the New York stage to triumph and accolades last season. But Shakespeare’s King Lear requires an unflinching, messy exposure of guts, and pain, and Jackson isn’t willing to do that. April 8, 2019: As Kermit the Frog reminded us, it’s not easy being a color different from that of the dominant culture. 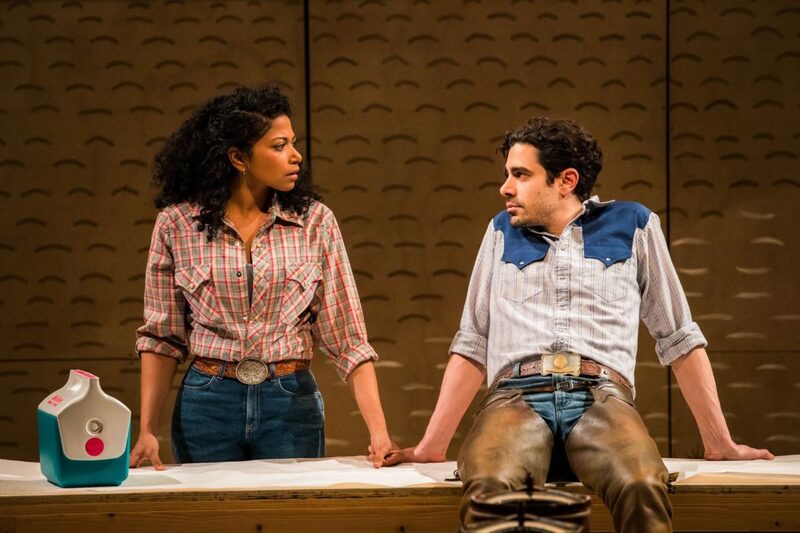 Some black American playwrights, especially since the 1960s, have satirized their frustrations with such unease by creating seemingly outlandish situations in plays located somewhere on the absurdist spectrum. In 1965, for instance, in the days of the black theatre movement, Douglas Turner Ward’s one-act, “Day of Absence,” considered the reactions of a Southern town’s whites (played by blacks in whiteface) to the sudden disappearance of all the local blacks. April 4, 2019: If “A Midsummer Night’s Dream in a post-apocalyptic future, fleeing from zombies” doesn’t sound like your idea of a great show, Be More Chill, may feel challenging at first. April 3, 2019: Three disparate visions of America, two focusing on capitalism and one on the constitution, raise a multitude of questions about where we’ve been and where we’re going as a nation. 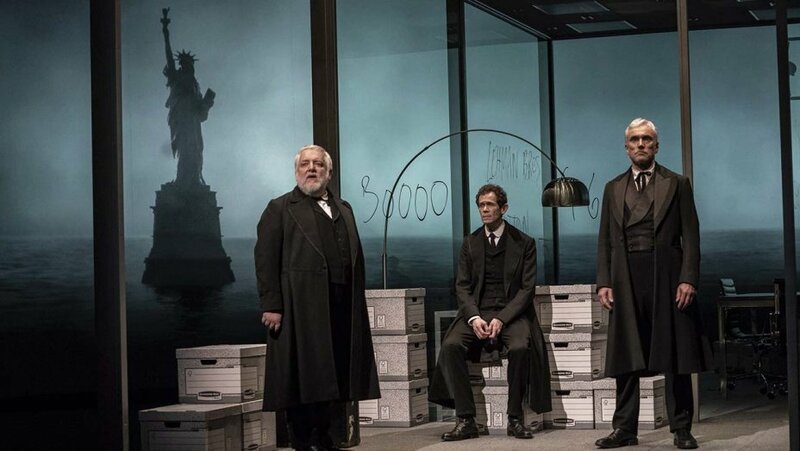 The Lehman Trilogy, in the vast space of the Park Avenue Armory for a limited run after engagements in Europe and London, conveys the story of 150 years of the titular financial clan. The Cradle Will Rock is John Doyle’s staging of the rarely-produced 1937 labor musical at Classic Stage Company. 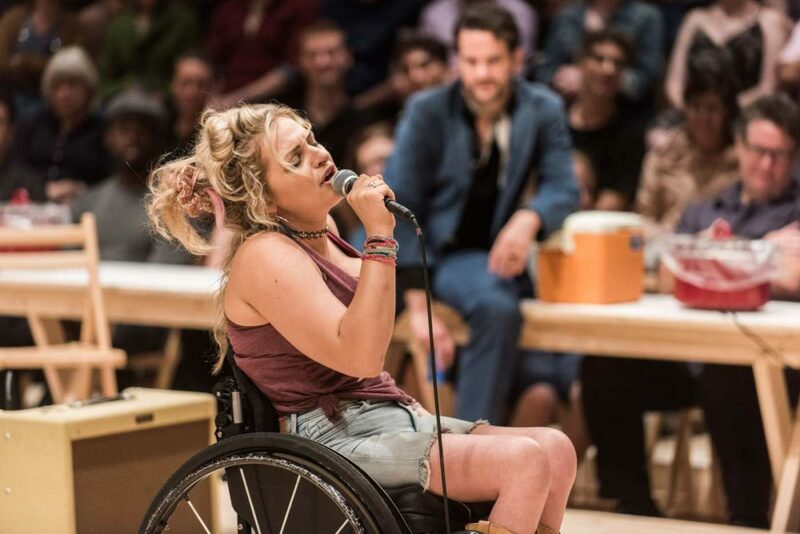 What the Constitution Means to Me, at the Helen Hayes on Broadway after two Off-Broadway runs earlier this season, is Heidi Schreck’s unusual stage memoir, recreating her journey as a 15-year-old making speeches on our sacred document cross-country to earn scholarship money and how she views the constitution as a grown woman in 2019. 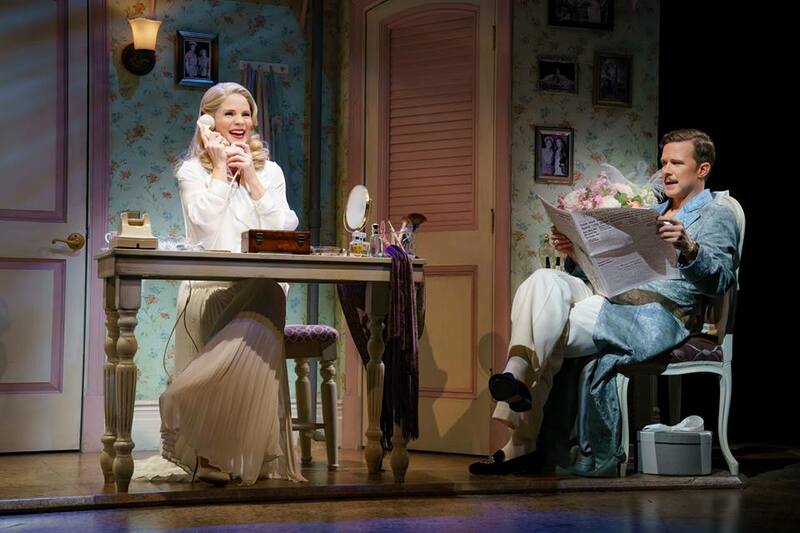 April 4, 2019: A most memorable of Broadway Valentines, Kiss Me Kate, is getting a rousing revival at Studio 54, with Kelli O’Hara (Lilli Vanessi) and Will Chase (Fred Graham) leading a gifted ensemble. Indeed, one of the surprising highlights of this production is Paul Gemingnani’s orchestration of Cole Porter’s masterpiece. Capturing the show’s zest and verve, it’s the orchestra that keeps us bouncing in our seats. 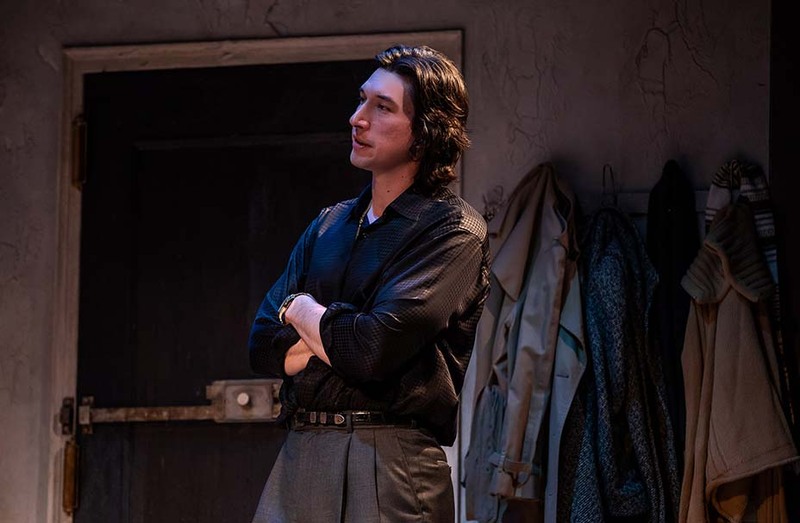 March 31, 2019: If Shakespeare’s The Taming of the Shrew, with its misogynistic undertones, is sometimes hard to swallow. Cole Porter, and Samuel and Bella Spewack’s Kiss Me Kate goes down easy. This is especially true for Roundabout’s new revival directed by Scott Ellis. 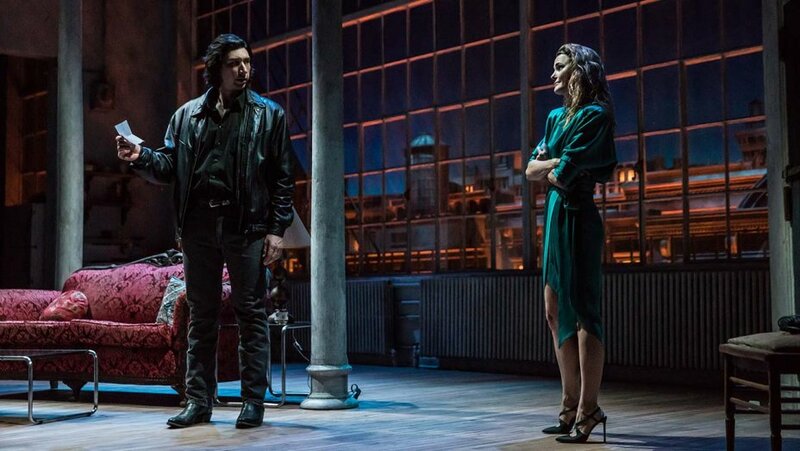 March 29, 2019: There are a lot of words in the full title of this latest jukebox musical but the essence of the show itself couldn’t be simpler. 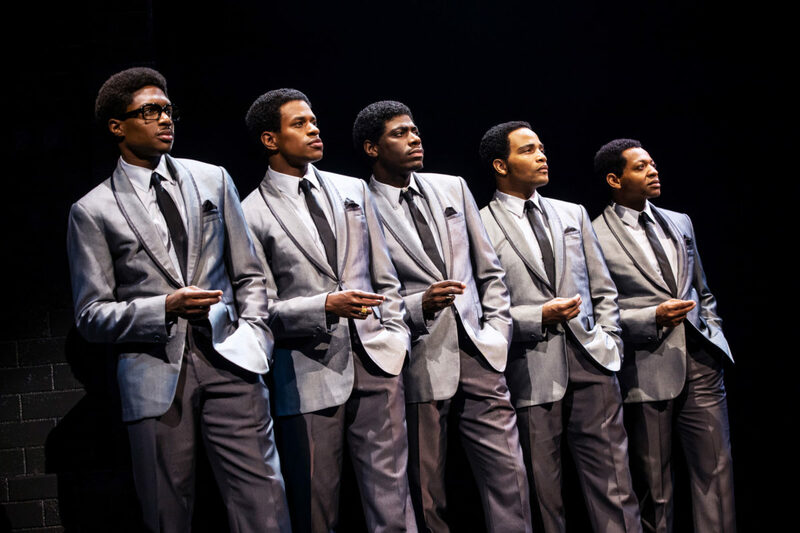 Like others of its ilk (especially Jersey Boys, still alive in an Off-Broadway mounting), Ain’t Too Proud: The Life and Times of The Temptations is a sprawling, by-the-numbers musical journey through the lives and careers of a popular singing group. Its biographical and dramatic values are far less compelling—because they so closely fit a familiar pattern—than the rousingly entertaining ones of the music and performances provided by a company of supernova talent. 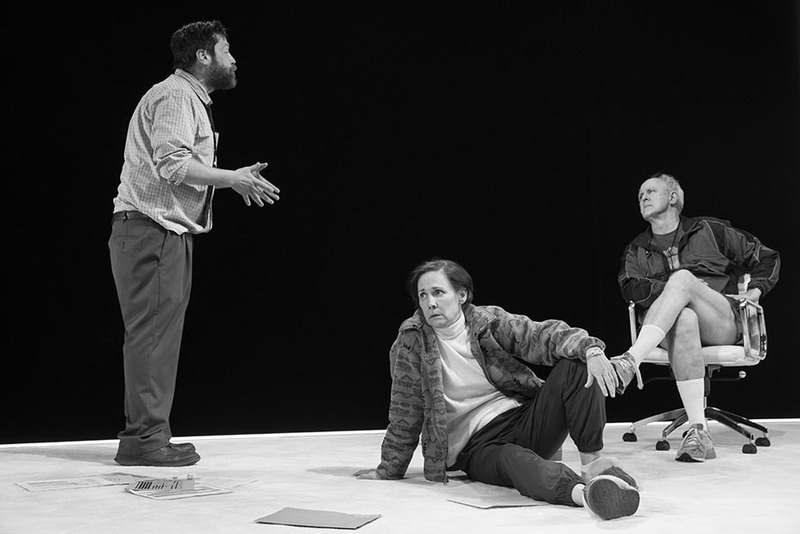 March 26, 2019: John Guare takes us on a wild romp through personal ups and downs, toxic pop culture, murder mystery tropes, literary and cinema allusions in his off-kilter new play Nantucket Sleigh Ride at Lincoln Center’s Off-Broadway Mitzi Newhouse Theater. 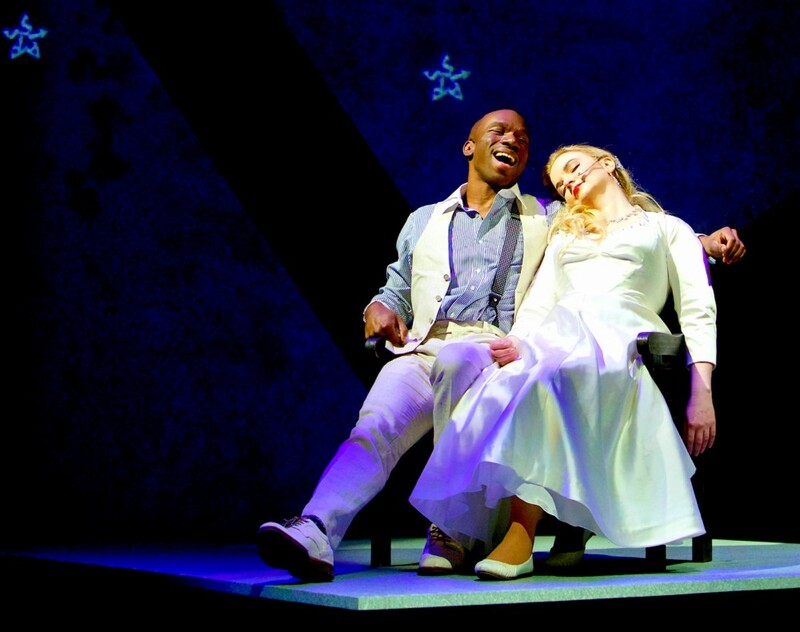 As in his best-known works The House of Blue Leaves and Six Degrees of Separation, the veteran playwright mixes his unique take on our celebrity-saturated world with piercing insights on humanity’s infinite and equal capacity for cruelty and love, viewed through a farcical lens. Walt Disney, Roman Polanski, Rene Magritte, Alfred Hitchcock, Jorge Luis Borges, The Wizard of Oz, and Jaws are just a few of the landmarks on this bumpy roller-coaster ride through Guare’s consciousness. 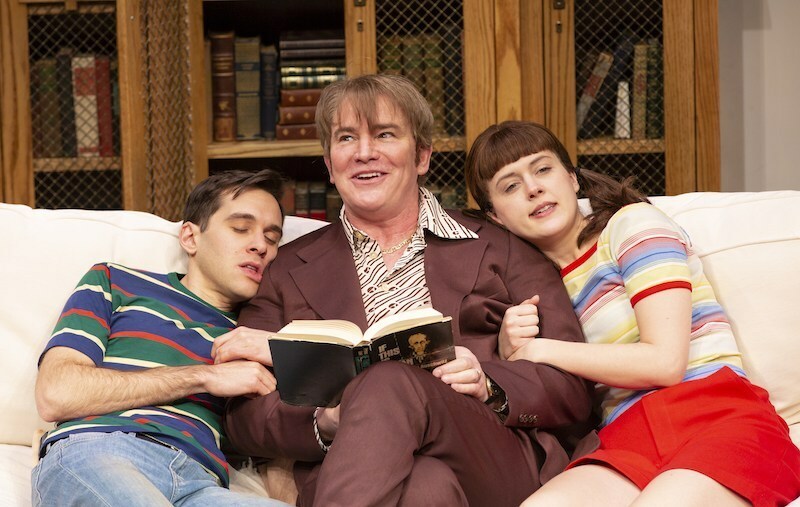 Jerry Zaks’ attuned direction, balancing guffaws with sobs, gives the play the right breakneck speed and askew demeanor, but the characters and situations still come across as too goofy and off-beat to be entirely moving.